The average commute time in the United States is 25.4 minutes. 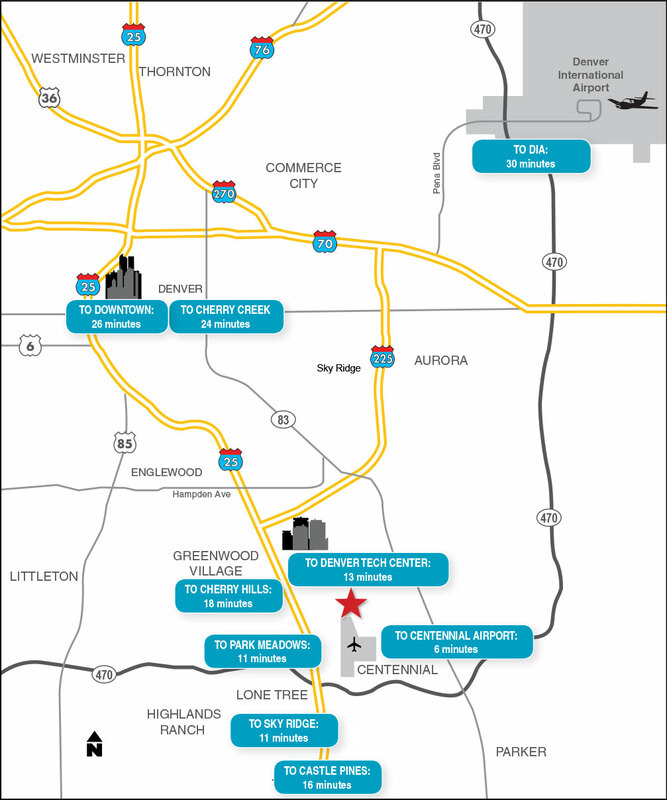 Encompass’s convenient Centennial location provides access to some of the best neighborhoods in the Denver metro area, making for shorter commutes. A recent survey revealed nearly half (48 percent) of workers interviewed said their typical lunch break lasts fewer than 30 minutes. 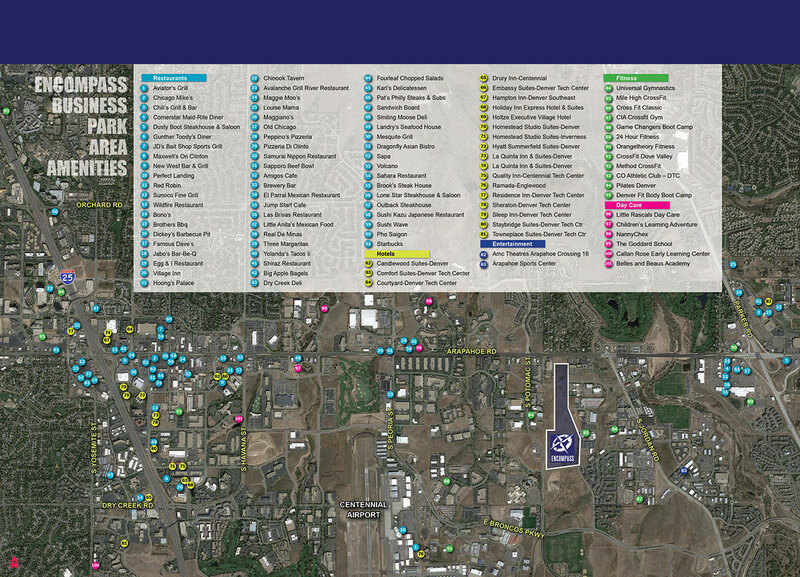 Encompass Business Park is uniquely located within close proximity to both lunch and retail amenities. The closest lunch amenity is just a walk away from Encompass. The Denver metro area has invested billions in the past decade on road and infrastructure improvements. All scheduled improvements have been completed in the South East market. Whereas other industrial markets including the I-70 corridor have significant planned infrastructure improvements. 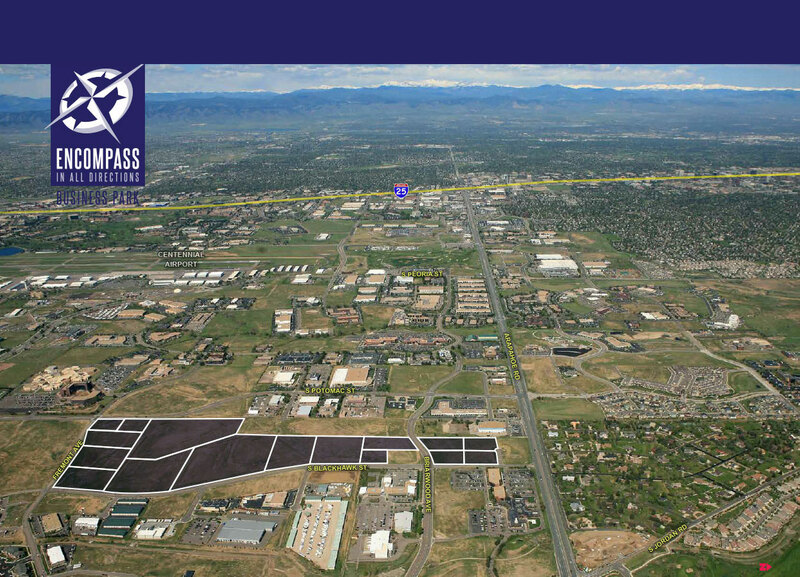 Encompass Business Park with its connectivity to both I-25 and C-470 provides consistent and reliable drive times throughout the Denver metro area. SouthEast Denver has the highest office concentration in the Denver metro area. 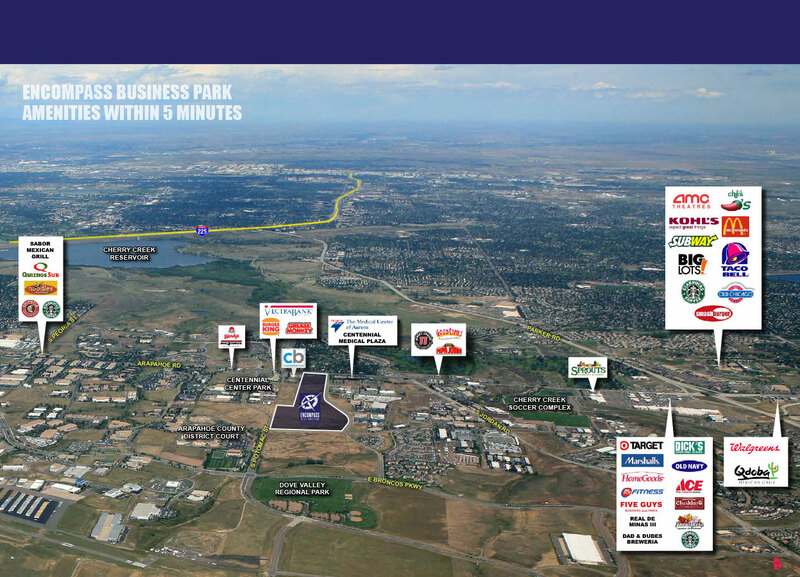 Safety/Security: Significantly lower crime rate than other business park areas across Denver.